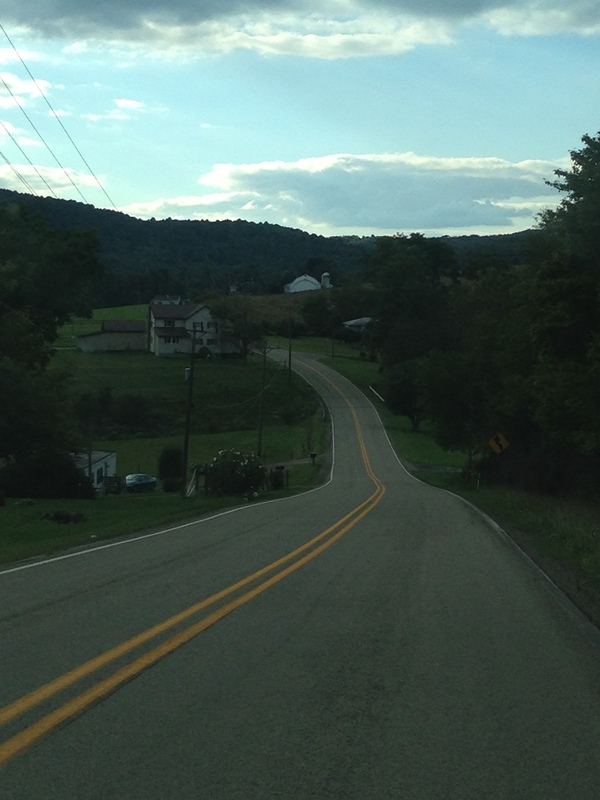 Wide open spaces—the Dixie Chicks twang about needing them, and recently I found them–or perhaps they found me–in the cascading, pristine mountains of Western Pennsylvania. A swath of road cut through the countryside, amid field and farm, tree and green. The mountains and their forests reigned above me, around me, and yet they graciously bestowed their magic. I drove my country mile, basking in the last golden light of the day. The sun cast a reverent glow over blades of grass, and horses, swishing their tails, illuminating every detail for my eyes alone. Mountain air, crisp, clean and quiet, enveloped my senses. Uncomplicated joy was mine for the taking, there, nestled into the landscape, beside a bonfire, under a sea of stars, and among friends. All were quick to share whatever was in their coolers, be it a cold beer, or a perfectly ripened peach, hastily cut up with a Swiss Army knife and passed around on a paper plate for all to taste. Conversation, silence, storytelling, laughter and music—each enriched an evening, long to live on in my memory. Rejuvenated, I happened upon a local fall festival, and a merchant, selling handcrafted, leather bound journals. A unique treasure, my hands told me, and my creative soul, the moment I held the one I knew to be mine. My inner child longed to know if possibly, it could’ve belonged to Harry Potter at one time. Its deliciously imperfect honey brown cover is bound with a buckle and contains thick, cream colored sheets of paper sturdy enough for whatever my imagination dreams up in the way of pen, pencil or paint. 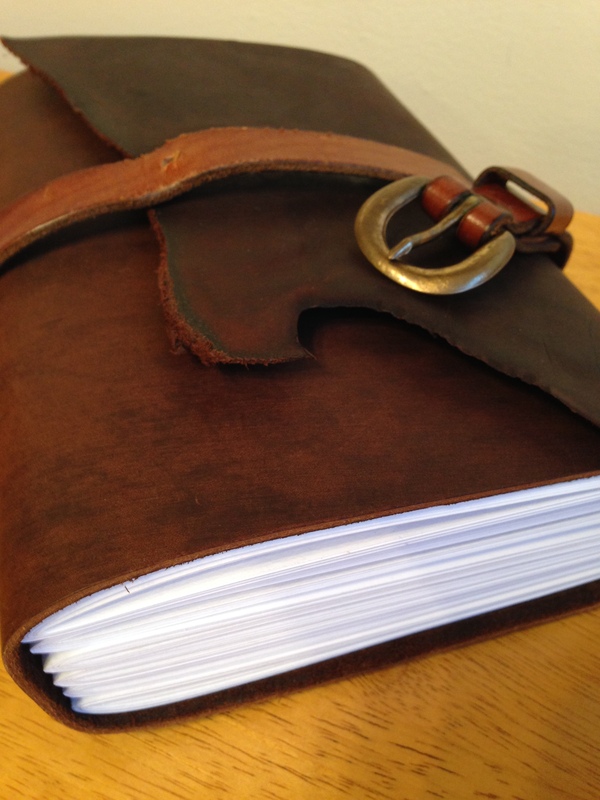 The rich scent of the leather, its sturdy weight in my hands, and its blank pages cry out to my muse to fill it. All around me. And within me. This entry was posted in Blogstopping For Beckie! and tagged bonfire, creative writing, creativity, Dixie Chicks, festival, Harry Potter, journal, mountains, muse, romance writing, Swiss Army knife, Western Pennsylvania, wide open spaces. Bookmark the permalink.